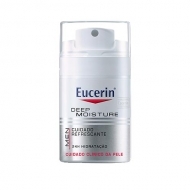 DESCRIPTION: Men Intense Anti-age from Eucerin is an anti-wrinkle cream, especially suitable for men's skin. Formulated with Q10 conenzyme, a nutrient, which stimulates and improves the regeneration capacity of the cells, attenuating the most marked traits. 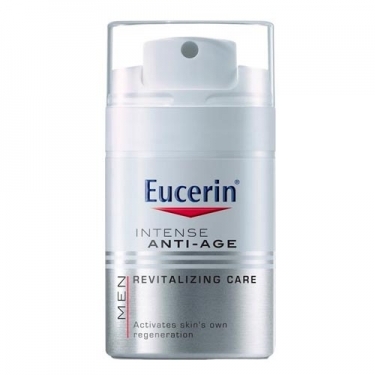 It also contains hyaluronic acid, which smooths the skin and fills wrinkles, restoring the skin to its initial appearance. Enriched with hyaluronic acid that gives volume, it fills wrinkles from the inside and recovers the features of the face. Rich in moisturizing properties, it returns to the skin its elasticity and firmness, leaving it more uniform and rejuvenated.